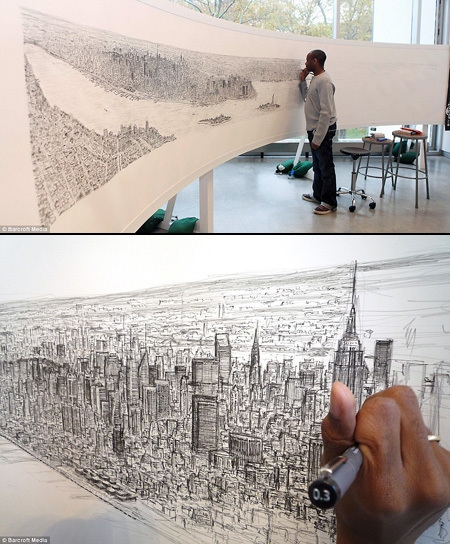 Believe it or not, autistic artist Stephen Wiltshire managed to draw this amazing 18-foot New York skyline panorama using only graphic pens and the information stored in his photographic memory. Video after the break. ‘Stephen sketches his layout in pencil first and then scales it within the border, first adding in landmarks before filling out in more intricate detail,’ said Iliana Taliotis, who works with Stephen and his family.